TV presenters Ant and Dec are to return a prize they were awarded at the 2005 British Comedy Awards after ITV revealed that they did not win. 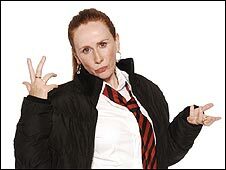 The Catherine Tate Show collected more votes for the People's Choice Award, an independent report on the affair says. 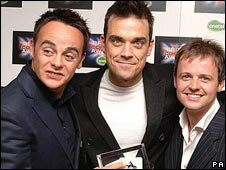 It is thought that presenter Robbie Williams had been given assurances that Ant and Dec were the winners. 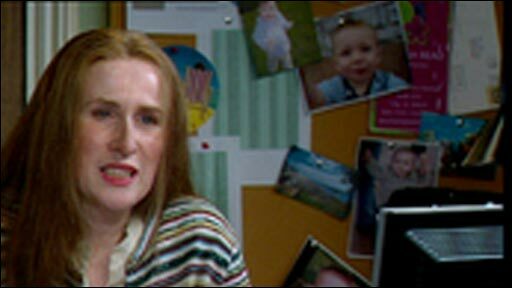 The deception emerged as media watchdog Ofcom fined ITV £5.68m over its use of premium rate phone lines. ITV gave details of the incident as part of a statement responding to the record fine. It said it had asked independent law firm Olswang to conduct an investigation into the award ceremony after allegations of irregularities. It discovered that Tate's show was the rightful winner of the People's Choice Award, but said there was "insufficient evidence" to explain why Ant and Dec's Saturday Night Takeaway had been given the prize. Their report added: "Robbie Williams was invited to present an award. It was understood that he would be happy [to do so] if the recipients were Anthony McPartlin and Declan Donnelly. "In order to ensure his attendance, this assurance was given." The report pointed out that this guarantee was made after the night's main winners had been decided by a jury and "the only award still to be decided was the People's Choice award". But it could not be definitively established that Williams' involvement led to the wrong winner being announced. "There is no suggestion that Robbie Williams, Anthony McPartlin or Declan Donnelly were aware of any of these issues," the report added. Ant and Dec, who have won the People's Choice award on three other occasions, are said to be "absolutely appalled" by the error. Olswang found that viewers were further deceived because the final section of the 2005 ceremony was broadcast with a half-hour delay to fit around the main nightly news bulletin. This delayed segment continued to ask the audience to vote for the People's Choice Award, despite the fact that votes had been counted and the trophy handed out. ITV has passed these findings to Ofcom, which is currently carrying out a separate investigation. But, unlike the investigations into Ant and Dec's Saturday Night Takeaway, Gameshow Marathon and Soapstar Superstar, ITV itself will not be subject to sanctions over the incident. This is because a different firm, Channel Television, was responsible for ensuring the British Comedy Awards complied with broadcasting regulations. Last year's ceremony was not shown on TV, but production company Michael Hurll Television told the BBC that 2008's show was already "in the schedule". In a statement it said it was "embarrassed and deeply apologetic", as well as "frustrated" that the Olswang report had added "nothing of material significance to our original internal inquiry".